Picking the perfect electric skateboard can be very tricky. You have to know your limits and find a product that can best suit your needs. Today we are featuring a board that is capable of going 25+ mph/40+ km/h, with a range of over 20+ miles/32 km and looks pretty cool. 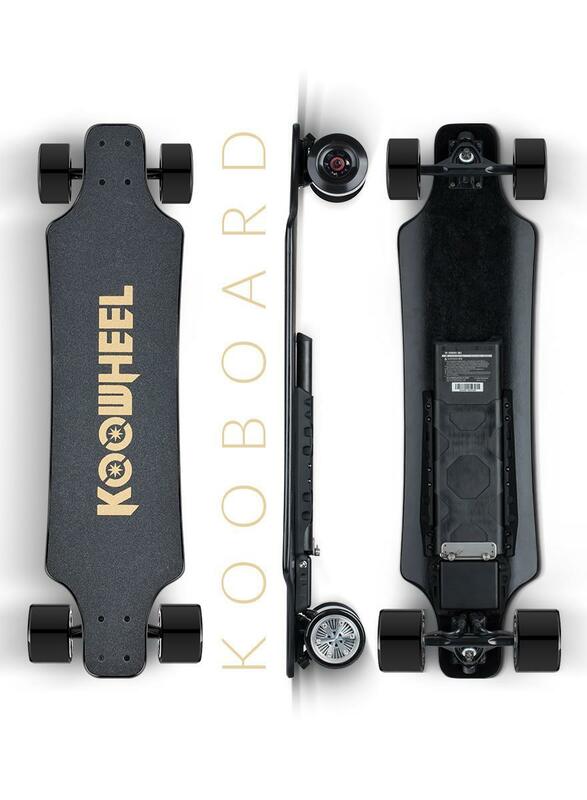 The board we are talking about is Koowheel ONYX KooBoard (sold by Novativo). This board is an upgrade from the original D3M. When first riding this board you can feel how sturdy and durable it feels in your hands. It picks up speed quickly and braking is effortless, makeing it very fun to ride. KooWheel is a company in partnership with Shenzhen JOMO Technology, located in Bai Shigang Village, Dongguan City, China. The main group has over 5,000 projects based in electronics and engineering throughout the world. Shenzhen JOMO aims to bring fully certified and superiorly crafted components, such as wheel chips, light boards, drivers, and heat sinks. What does this mean for electronic transportation? That you are receiving a quality item worth the money. Before KooWheel brought around the KooWheel 4-wheel electric skateboard, they had developed hoverboards and 2-wheel self balancing scooters since 2009. The products are all environmentally friendly and aim to lessen dependence on oil. If the company’s philosophy fits your own, maybe you will be inspired to give them a try. 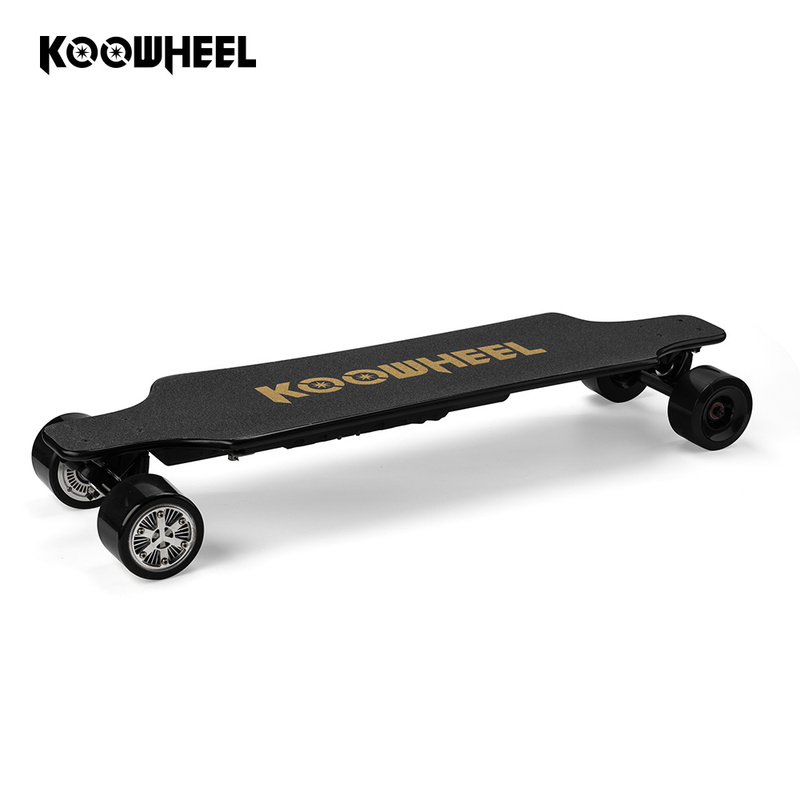 Otherwise, the enthralling features available with the KooWheel electronic skateboard will be the deciding factor in whether or not you choose it over the other options out there. The board is made entirely from Canadian maple. This allows for elasticity, hardness, stability, and will not easily deform. You can expect this board to last, no matter where you go for a ride. The wheels are sturdy polyurethane to up the shock absorption. Dual brushless hub motors add to the acceleration power, giving this board a slightly faster start than earlier models. With the provided remote control, you can bring the maximum speed up to 25 mph (by unlocking the secret BOOST mode)! First, every electronic component of the Onyx has undergone ASTM and UL 2272 certification testing. This testing ensures that the electronic transportation device will not smoke, spark, or ignite under various scenarios. Such testing looks at potential overcharging or abnormal discharge, fire resistance, and so on. The elasticity of the board is for more than just durability. The structure bends to even protect the battery and electronic components, adding a level of protection other brands have overlooked. There is also a smart chip installed to avoid sudden acceleration and sudden braking, preventing accidental falls or accidents from occurring. Lastly, you know how much the system is strained with real-time monitoring of the motor temperature. 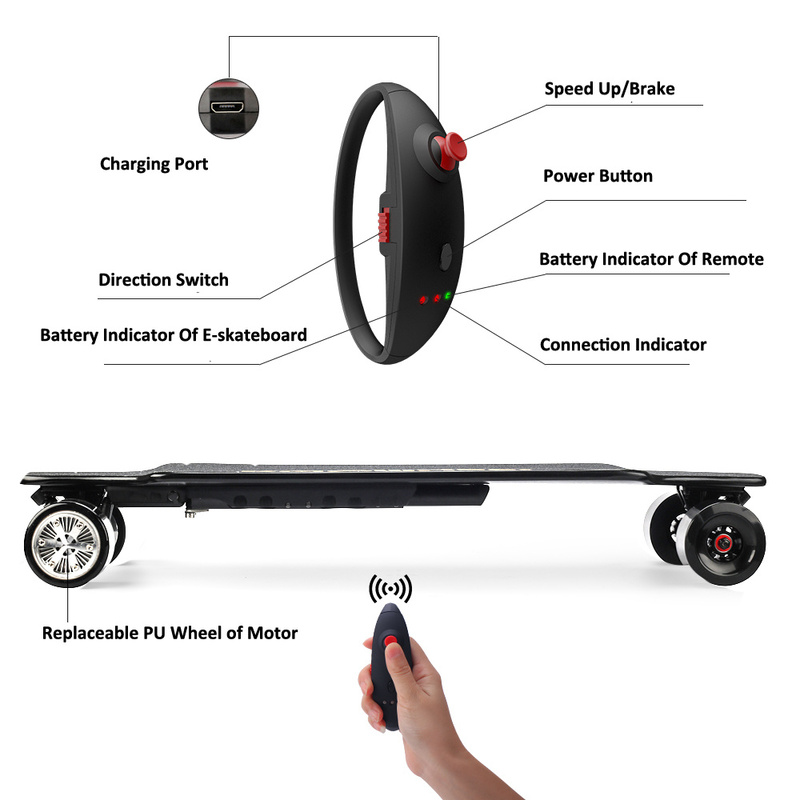 KooWheel has made sure to keep the rider’s safety their number one priority when designing the Onyx KooBoard. With all electronic devices and standard skateboards, be sure to adhere to safety protection wear a helmet, knee pads, and elbow pads before going on for a ride. Also be sure to perform routine maintenance on your KooWheel to prevent any malfunctions from occurring. For those who are looking for a unique alternative to the standard self-balancing scooter, an electric skateboard is a veritable option. There are many styles and brands out there, but KooWheel has been in the game for quite some time. 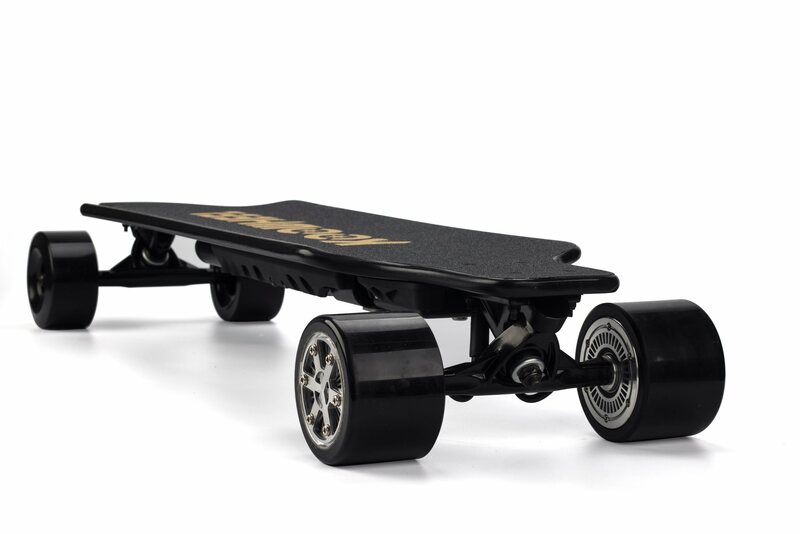 The innovative design of the KooWheel Onyx KooBoard Electronic Skateboard has the speed, style, and technology you are looking for to add an exciting element to your everyday commute. I have this board for 3 months now and i`m very pleased about it. It takes a little time to get used to 42 km/h but once you get comfortable with it the trill it`s guaranteed ! I have changed the bushings and I've put angle soft risers for more maneuverability and comfort. The quality of the PU motor covers it`s not that great as it`s blunting too fast in my opinion, but you have a replaceable pair in the pack. I think it's a good board as I enjoyed every trip at maximum with no technical issue. I highly recommend it as the best budget electric skateboard i've put my feet on!